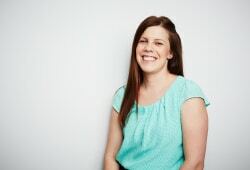 Ainsley has been with JSA since December 2004 and is part of the Client Administration team. She enjoys working with the broad variety of clients and a “great bunch” of people at JSA. Ainsley’s primary role is to assist the Financial Planning Advisers and Para-Planners/Strategy teams with the processing and maintenance of client files, setting client appointments, preparing for client reviews, updating investment portfolio valuations, updating the client database, lodging new investment/insurance applications and ensuring that clients receive the best possible service from JSA. Outside work, she enjoys spending time with her friends and family and renovating her house.